i decided i couldn't do a lucy update without doing one for sam, too. 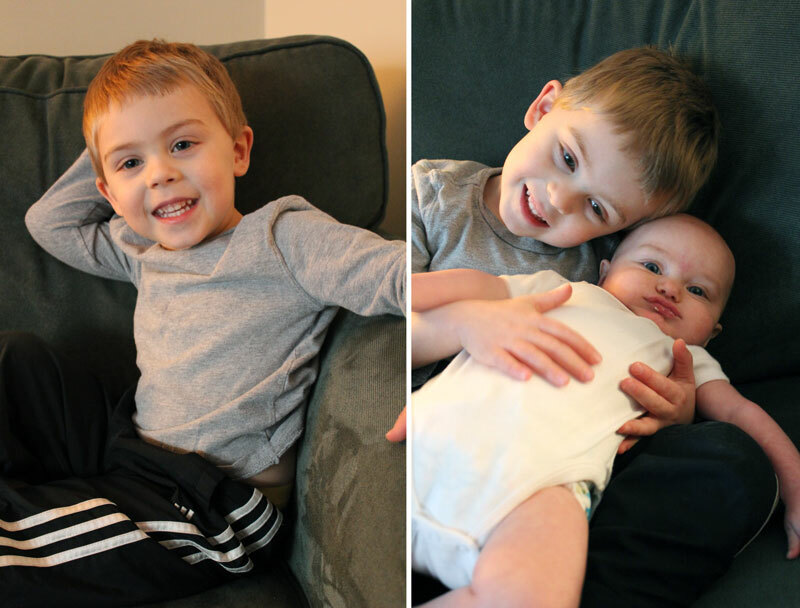 it's hard to believe that sam is quickly closing in on four years old. it seems like only yesterday he was a little peanut of a kid. not anymore. this boy can talk up a storm about all kinds of things, chiefly star wars, angry birds, and the antics of all of his imaginary entourage (particularly "good darth vadar", luke skywalker, and oliver track, among others). he runs, he jumps, he climbs, and he still crashes with regularity (i'm anticipating his yearly trip to the ER right around his birthday). he draws and colors (lots of maps) and can write his name quite legibly. he's fairly good at recognizing all his letters (though he gets stage fright quite frequently). i think he's looking forward to going to preschool, as some of his friends from daycare have already begun. this week he was invited to his first friend birthday party (his friend gavin from daycare is turning 5! ), so that will be a new adventure for him. he still puzzles with ease, and enjoys lots of (educational) video games on the computer and ipad. sam is still quite a handful sometimes (mostly when he's avoiding quiet time or bed), but overall, he's such a great little guy. he loves his sister with ferocity and is anxious to have her join in his adventures. and i'm doing my best to follow along on his train of fun.